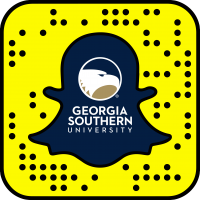 Georgia Southern University is hosting events specifically tailored for transfer and non-traditional students. Students who want to attend Georgia Southern University for the first time or re-enroll have a unique opportunity to START NOW through events that will provide opportunities to meet with a counselor about same-day admission decisions and to meet with an academic advisor to start classes this summer. 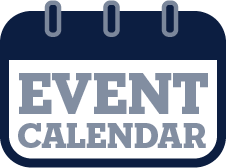 Start Now events are offered at the University’s three campuses in July and August. 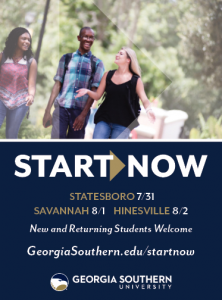 The Statesboro Campus Start Now event will take place on Tuesday, July 31, 10 a.m. to 6 p.m. in Lewis Hall. The Armstrong Campus in Savannah will host the event on August 1, 10 a.m. to 6 p.m., in Victor Hall. The Start Now event on the Liberty Campus in Hinesville will take place on August 2, from 2 to 7 p.m. Interested individuals are encouraged to register online to attend the event for the campus at which they wish to enroll. 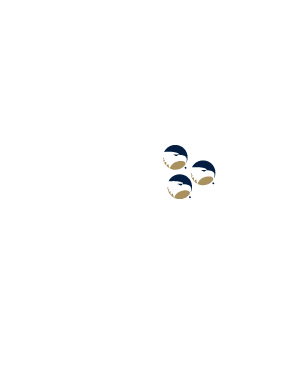 They may also complete their Georgia Southern University application online for free. Students should obtain official copies of their transcripts from all schools attended prior to the event. Students also will be able to speak with Financial Aid while they wait for a decision. If admitted by a certain time (varies by campus), students may also see an academic advisor on the same day. Students unable to meet with an advisor on the same day will be contacted by an academic advisor the next day to be advised. Some students may be required to take a college placement exam prior to receiving a decision.